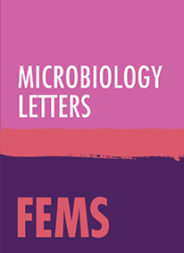 FEMS Microbiology Letters gives priority to concise papers that merit rapid publication by virtue of their originality, general interest and contribution to new developments in microbiology. All aspects of microbiology, including virology, are covered. The global economy for products composed of biological materials is likely to grow 3.6% between now and 2025. This in response to serious environmental challenges the world will face. Such products have enormous potential to provide solutions to global challenges like food security, energy production, human health, and waste reduction. This economic growth may strongly benefit from organisms that come from the sea. For example, scientists estimate that marine microorganisms have 100-times higher potential for developing anti-tumour drugs than those on the ground, simply because of the higher natural biodiversity. Today’s technology has enabled scientists to generate a spectacular vision of the marine microbial world. Industry uses these microbes and their products (chemicals and enzymes) because they can lead to lower production costs or get to market quickly. This is vital for compounds under price pressure such as fine chemicals and pharmaceutical compounds. For example, Yondelis is an anti-tumour agent derived from Caribbean sea squirt Ecteinascidia turbinate. Other examples include proteins Cpn10 and Cpn60, isolated from marine psychrophilic bacterium Oleispira antarctica, used to extract enzymes necessary for industrial processes like beer fermentation or the bleaching of paper products. However, few companies can undertake the costs and risks involved for this kind of research. Oceans cover 71% of the Earth’s surface and are inhabited by about 2 million microorganisms. They have been evolving for at least 3.5 billion years. People have discovered only a tiny fraction of microorganisms in the ocean. This is simply because the ocean is so large. Scientists with experience in cultivation, isolation, and characterization of microorganisms know how much effort it takes to isolate a marine microorganism and how much time and resources it takes to discover, test, and commercialize a new product. There are numerous steps to explore the ocean for marine microorganisms and their products. First researchers take an expedition to collect samples. Then scientists analyse these samples on board and in a laboratory. Once they identify a potentially useful microorganism or product, they have to find a way to enable mass production. Then there’s further testing to validate that the products perform as expected. Final steps include pre-clinic and clinical trials (if it is a drug), or industrial studies and tests (if an industrial product), before relevant boards can approve such products and bring them to market. These elaborate sorts of tests are not commonly done at laboratory scale because they require such a large investment of time or money. They are essential when researchers envision manufacturing marine products for commercial use, however. The cost of a sampling expedition depends on the site explored, the number of researchers involved, and the cost of storage and transportation. Anyone could go to the beach and retrieve seawater for free. If one wants to access off-shore or deep sea resources, the project could cost €10,000 a day. It would take around 1000 years to isolate all the marine microbial species that may exist. The amount of time and resources also depend on which microbe scientists end up identifying. It would take around 1000 years to isolate all the marine microbial species that may exist. Researchers have been able to culture some bacteria successfully within a few months, but other strains can take years to isolate. It would take about 15 years to discover, develop, and commercialize a marine-derived oncology drug for clinical applications, for instance. The total cost of this would be at least €800 million. Only 40% of drugs on the market generate sales to cover that sort of cost. In the case of enzymes companies might use for commercial products, this time frame is shorter, but still challenging. Publicly funded research cruises and marine biodiscovery research projects, many supported by the EU’s successive research and innovation funding programmes, such as INMARE, contribute to novel and more efficient exploration of marine microbes. Such research projects also help scientists understand how to derive products from these microbes. These projects and initiatives can help meet the need for organic chemicals. The challenge is not just how to access and sample our ocean’s biodiversity; it’s also crucial to take advantage of that biodiversity and bring related products to market. Dr. Manuel Ferrer is a Research Scientist at the Spanish National Research Council (CSIC) at the Institute of Catalysis. He pioneered studies in the fields of enzymology, biochemistry, biotechnology, bio-catalysis, microbiology, biodegradation, protein engineering and design, and chemistry. Professor Peter N. Golyshin is a Professor at Bangor University, UK. He is an expert in microbiology and molecular biology, and pioneered studies in microorganisms degrading petroleum and living in the cold. Dr. Oonagh McMeel is a senior project officer at Seascape Belgium. A former molecular biologist, she now supports Seascape’s work to translate scientific advice to policy, industry, and the wider public. They are, together with partners of The INMARE consortium, co-authors of ' Decoding the ocean’s microbiological secrets for marine enzyme biodiscovery', published in FEMS Microbiology Letters. The members of the INMARE consortium contributing to this paper included Jennifer Chow, Antonio García-Moyano, Gro E.K. Bjerga, Ida H. Steen, Tatjana Schwabe, Charlotte Blom, Jan Vester, Andrea Weckbecker, Patrick Shahgaldian, Carla C.C.R. de Carvalho, Rolandas Meskys, Giulio Zanaroli, Frank O. Glöckner, Antonio Fernández-Guerra, Siva Thambisetty, Fernando de la Calle, Michail M. Yakimov, Karl-Erich Jaeger, Alexander F. Yakunin, Wolfgang R. Streit, Oonagh McMeel, Jan Bart Calewaert, and Nathalie Tonné.